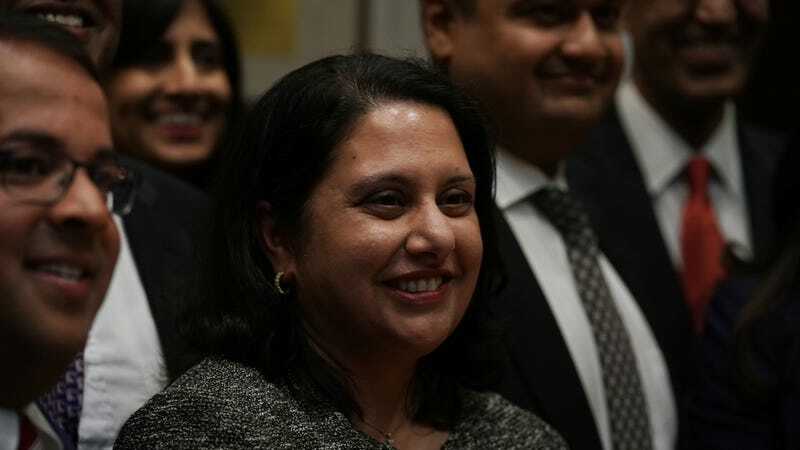 Neomi Rao, who serves as Donald Trump’s administrator at the Office of Information and Regulatory Affairs, was nominated by Trump in November to replace Brett Kavanaugh’s seat on the federal bench. Rao’s checks off almost every box you could imagine for a Trump nominee—Federalist Society member, George Mason University’s Scalia Law School professor, defender of an abhorrent practice called “dwarf-tossing,” and, according to new reporting by Mother Jones, prolific writer of articles espousing radically racist and sexist views in her campus paper. According to Politico, Rao is also on Trump’s shortlist should Ruth Bader Ginsburg depart the Supreme Court. The more we learn about Rao, the worse it gets—something that she seems to have in common with most of Trump’s other nominees.